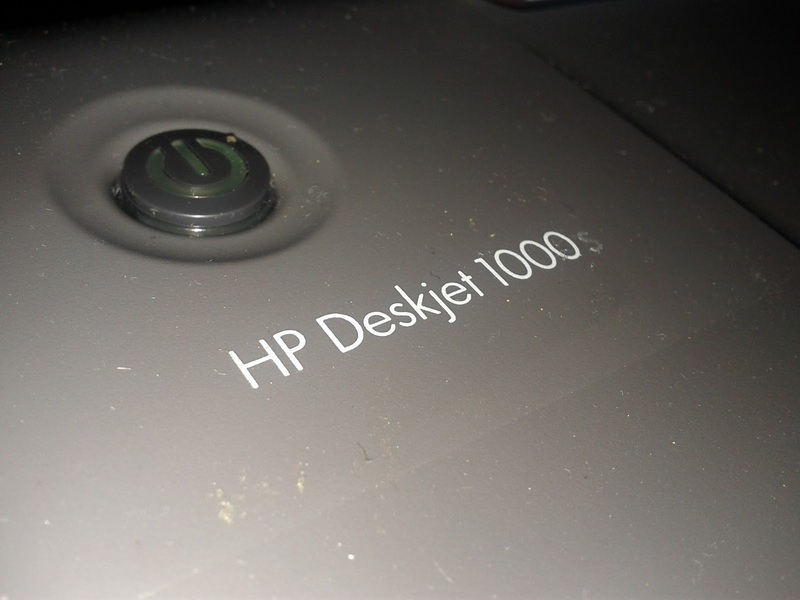 Last week i buy a new printer, it's HP Deskjet 1000. On the box only included with windows driver on CD. On windows 7 the printer looks fine. 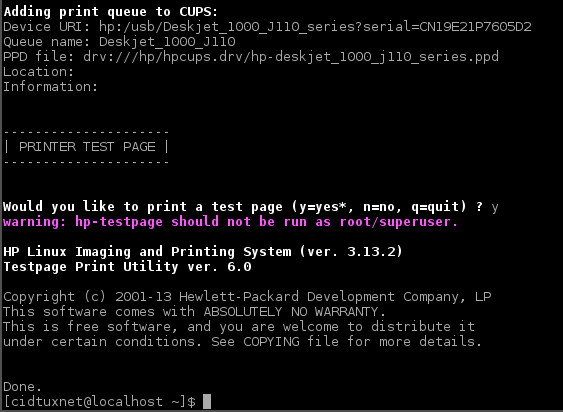 Now i want this printer work to on Archlinux. 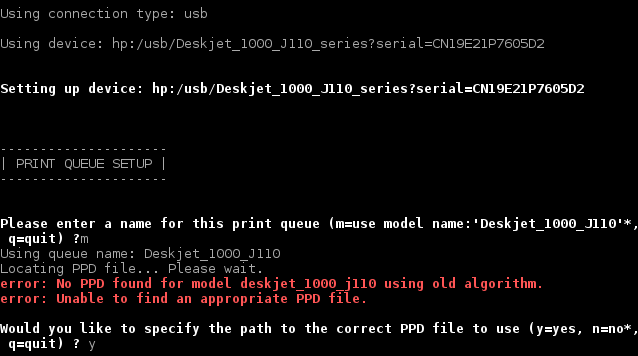 Here's some my step to make this printer work on Archlinux. Or From my google drive. 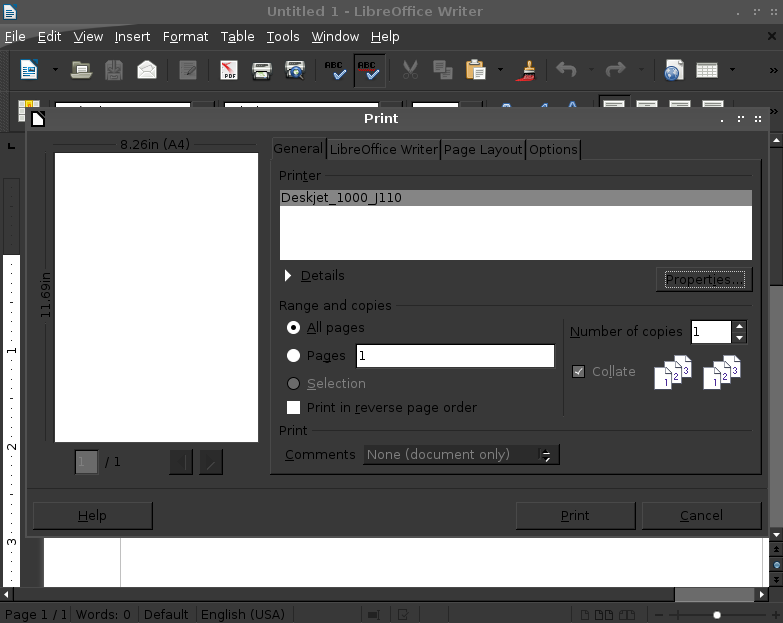 Press Enter or insert "0"
type the /path/to/file.ppd then just hit enter, if you get cups error, restart cups. Do same as above, until you get "adding print queue....", it will look like this.